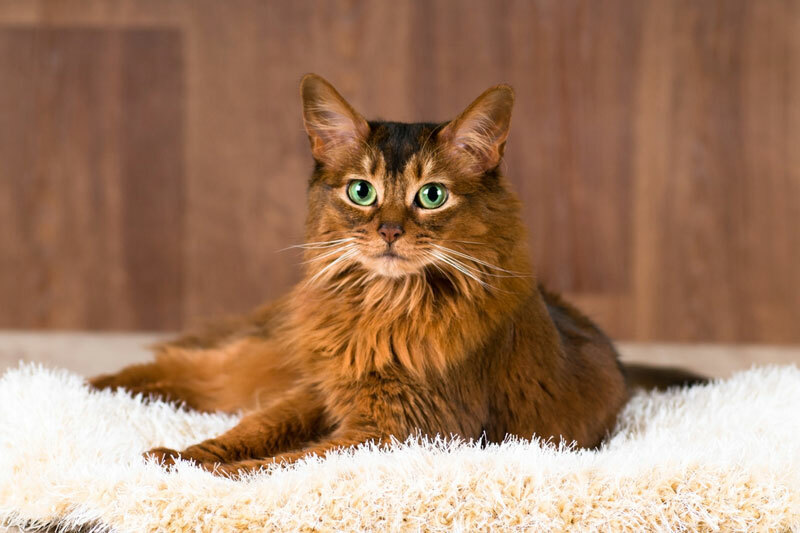 Somali cats are closely related to Abyssinians. They have long hair, where Abys have short hair, and they come in a large variety of coat colors. Somalis are clowns; they love to be active and can even get into mischief if they don't have enough to do. They like to check out every inch of the home, play tricks, romp, and generally keep everyone on their toes. People with Somali cats often report that they use their toes like humans use their fingers, so they can often get into cupboards and other spots that you might think are cat-proof. If you have a Somali, you'll probably want two. Often, a Somali in a single-cat home will cause more trouble than the home-owner might like, knocking things over, emptying cupboards, and causing other problems when they're left alone. Somali cats also love cat trees that they can scratch on, romp over, and climb up to sit and watch the birds outside. It's important that a Somali's scratching post or tree be sturdy because, if it's not, he will definitely find a way to tip it over, and then he probably won't ever want to use it again. 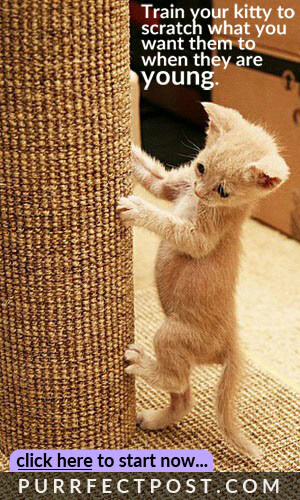 A strong, tall scratching post can go a long way toward keeping the energetic Somali cat happy. Interactive toys are another great way to keep your Somali happy and healthy. All cats benefit from interactive, prey-simulating play, and Somalis might need an extra daily dose of such activity. It might even be helpful to create enriching activities for your Somali when you aren't going to be home for a while, such as hiding kibble-stuffed toys around for him to find and figure out or using an automatic cat toy with a "play while you are away" feature that will turn on randomly throughout the day, giving your cat something to do. Somalis are prone to dental problems which may be congenital, so it's essential that their dental health is evaluated periodically by a veterinarian and any necessary treatment is done right away. Tooth-brushing regularly at home is also a good way to keep the gums as healthy as possible and further keep an eye out for any problems that might occur. Pyruvate kinase deficiency, or PKD, is another congenital disease that is seen more often in Somali cats than other breeds. This condition results in intermittent anemia, and it can be a serious chronic illness. At PurrfectPost.com, we recommend adoption as the best way to acquire a cat, so if you're looking for a Somali, try looking for a rescue group that finds homes for them.